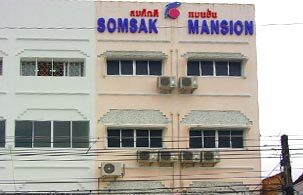 Somsak Mansion is located on Bangla Road, and you can't get any more central in Patong Beach than here. Outside our doors is Patong's nightlife to the right and to the left. Across the street is a large department store and of course there are dozens of fun street stalls and small eateries, and we're just a few minutes walk to the beach. Our room types feature Deluxe Room and Twin room. 15 Deluxe Rooms are available with each room having an opening windows, air-conditioning, private bathroom, hot water, bathtub, shower, and color satellite TV. Our rooms also provide a refrigerator, mini bar, telephone and traditional Thai style teakwood furniture. Our maids daily clean the rooms between 08:00 a.m. & 05:00 p.m.
Motor bike / Car / Jeep for rent. Please feel free to contact us, we will check room availability and get back to you with deposit, payment and cancellation information.